Get into the swing of things, with Kenzai Kettlebell! Join us for a 6-week introduction to kettlebell training to get a body that doesn’t just look good, but functions with strength and power in the real world. Because, let’s face it, no one ever asks you to help them benchpress a refrigerator. 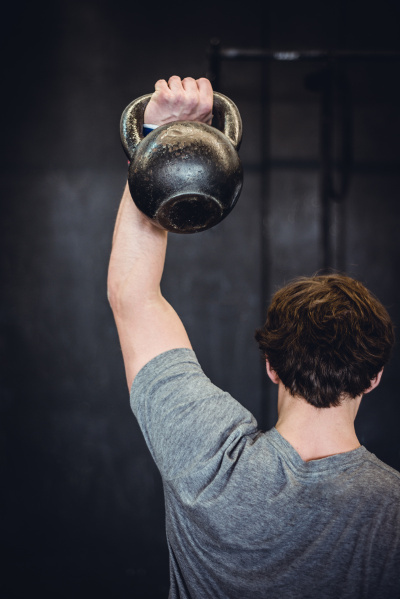 If you ever wanted to explore the world of kettlebells, it can be tough to know where to start. These funky cannonballs with handles are versatile tools for dynamic, full-body exercises that tap into strength, mobility, and cardiovascular training. Anyone can use them, and this is your chance to learn how. We’ll teach you the basics of kettlebell training in the familiar Kenzai fashion with 6 weeks of daily workouts and lessons, an individualized diet, a dedicated trainer and community support. Through structured progressions and proper education, you’ll safely build a strong foundation for focused kettlebell training beyond day 42. It may just be the fundamentals, but it won’t be easy!